Be careful out there guys. I'm pretty shocked about how far some people will go !! A few spy cameras on the trail ?? D]ck He@ds. Charles Bronson lying in a bush waiting on them he would sort it out. Love the mournes and a bit of fresh country air. Ni wild Bronson division. it has a ring to it dont you think?. Count me in lol. 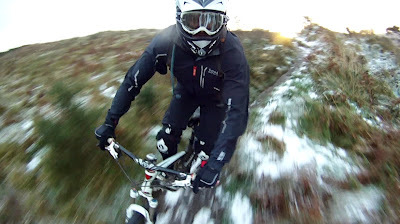 There could well be more of this sort of cr#p with the new trail centres opening. Always some tw@t with an axe to grind. If only it was spides or little sh/?s On a number of occassions middle aged to elderly walkers have been seen at things like this. Claiming Mountain Bikers have no right to be there. Not to long ago during the Foxhunt MTB Race on cavehill a small wooden bridge was taken out and thrown into the trees. It baffles me because it would aid walkers or bikers alike. I am in no way tarring all walkers with the same brush (I am one) this is a small minority who are sensless morons. But just getting the point across it isnt always wee scum bags! If you even have the urge to do sometching like this in your old age, you have failed at life.